Brochures, leaflets and flyers are at the forefront of marketing. Their purpose is to be informative and persuasive, emphasising the benefits of using your company over your competitors. Hairy Goat Design’s brochure and flyer design service is second to none! Our designers can provide imaginative solutions for all your requirements. Whether you need a mailer or a flyer, a tri-fold brochure, sales material, a training manual, a booklet, a folder or a catalog we have the expertise to deliver eye-catching design which won’t cost the earth! We guarantee 100% satisfaction and ensure positive results by providing unlimited revisions. We have been serving clients all around the world for more than 8 years. Affordable and high-quality design. 100% custom design, no templates! Custom designs – including embossing, die cuts, and unique folds. 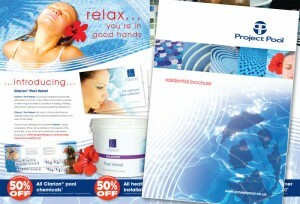 We can also create e-mailable or downloadable PDF brochures.